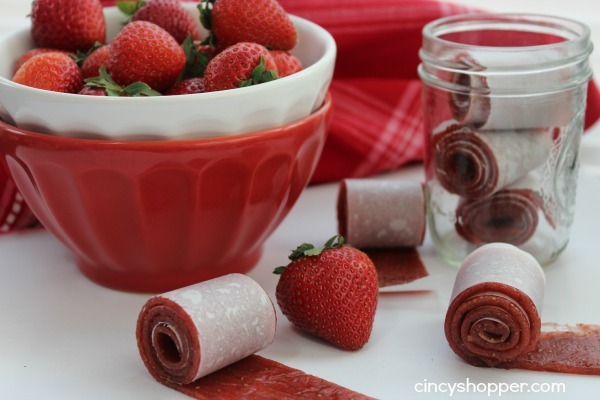 I never realized how easy it is to make Homemade Fruit Roll-Ups. I finally decided it was time to give a try at these yummy treats. I honestly have to stock up every time I find a sale on Fruit By the Foot, Fruit Snacks and Fruit Roll-Ups are on sale. My kids can polish off a box in about 1 minutes time. I know they contain sugar but my kids love their sweet treats. 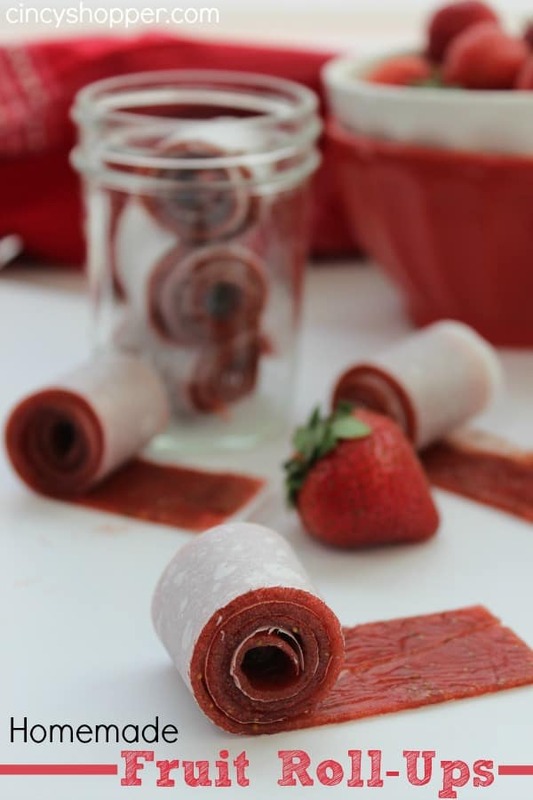 These Homemade Fruit Roll-Ups are so simple. They require only one ingredient if you would like. You do no need to include the sugar. These just take a ton of time. Patience is the key to having them turn out great. I made this tray yesterday and it took the whole day. The kiddos had this tray polished off as soon as they arrived home from school, ha ha. I think I will make a few trays next time. I always prefer real fruit versus the artificial stuff. To my amazement they prefered these over the store bought 9maybe they are growing up ha ha). I am thinking of trying out some mangos next time week make these. The wonderful thing is that I can make these at home now with just about any fruit. Also, no dehydrator is needed. What a yummy treat to have homemade. If you make these, do not be too surprised if you are being begged to make more, ha ha! These look so good and so easy! Can’t wait to give it a try! What temperature do you cook these for that length of time? Sorry, just saw it! 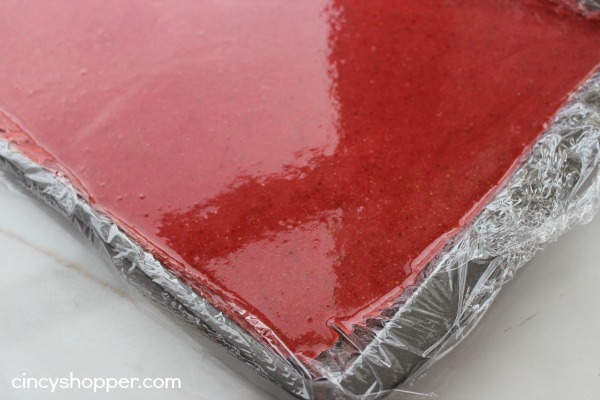 Do you use plastic wrap in the oven? Hi Dominique! You sure do! Plastic wrap works best as the fruit will begin to get tacky and will be difficult to remove from other wraps/liners. The plastic wrap will be fine to use in the oven since the temperature is so low. I hope you give this recipe a try. These were a hit with the kids and with mom. 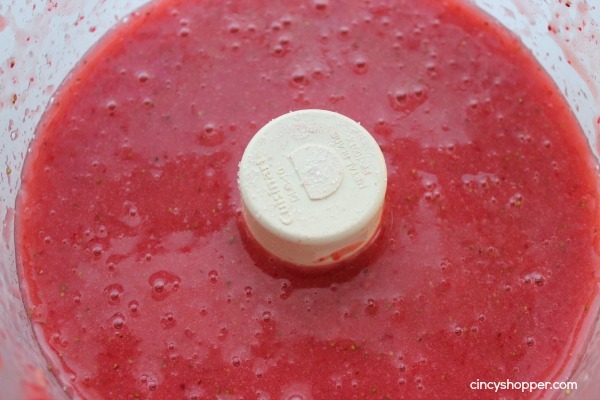 Do you thinkthawed out frozen strawberries would work as well? Hi Kim! You could give it a try. I can not see why they would not work. The whole key is having patience ha ha! It will seem like forever. Just be sure to leave it in the oven long enough for it to get firm but not totally dried out. Be sure to let me know if you give the frozen berries a try. Hi Amanda! You sure can! The process is to allow your fruit to be pureed. Good Luck and have patience with allowing your fruit to “dry out”. Patience is really the key. Could you use parchment paper in the oven instead of the plastic wrap? or maybe I’m being too paranoid about plastic in the oven? Hi Kara! I was a bit paranoid too but, all has been fine. I have made these a few times now with plastic wrap. You can always give it a try but, I have not had luck with it drying out properly when not using the plastic wrap. If you do use parchment, I would definitely think it will take MUCH longer. Maybe I did not leave it in long enough when i used parchment (it’s been a few years). Would you have any idea on how to store these? Could you freeze them? I wonder if so then for how long? Hi Christine! I personally have never froze them as they never last long in my house, lol. You could give it a try . Be sure to let me know if you do attempt freezing for storage and how it works for you. Hi Christine! You will set your oven very low at 170 degrees. The oven is so low as it is just going to be used to dry your fruit. Is this 170 degrees Fahrenheit or Celsius? Thanks for sharing the recipe! Hi, can you use a food dehydrator instead of the oven? I stopped over from Buns in my Oven thanks to your Strawberry Shortcake Popsicles. Then I started poking around through all your recipes and found this one. I’m going to try this for sure. My kids are always begging me to buy fruit snacks and though I’m not a “food nazi” about everything they eat, fruit snacks are one thing I just can’t bring myself to buy. How long will they last for storing. Just wondering how much sugar you would add if you wanted to? Also do you roll them up with wax paper or parchment paper? 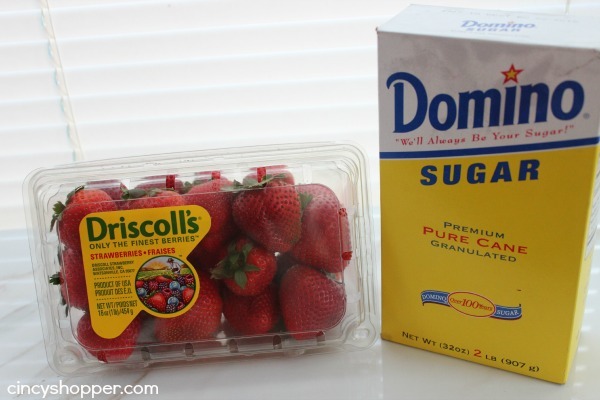 What other fruit have you tried other than strawberries for this recipe? 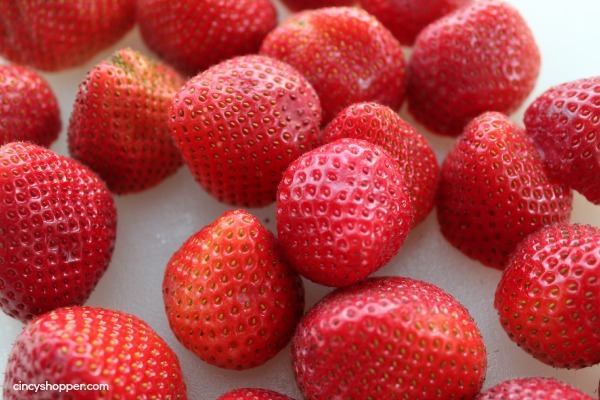 Did other fruits work as well as the strawberries? I am going to try this with ginger, lemons, and limes.